We’re here to help! 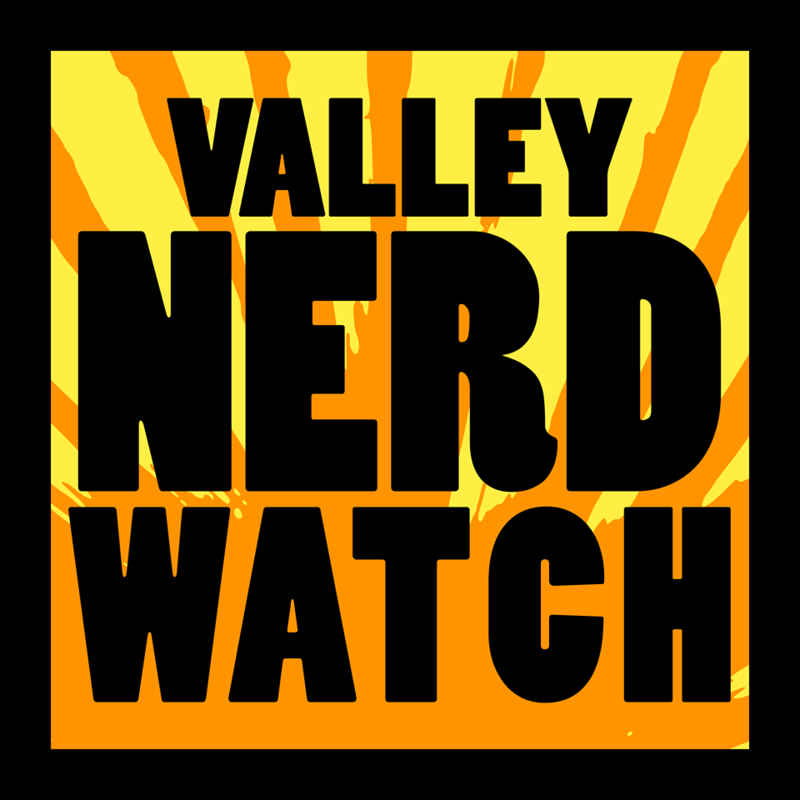 We’ll let you know what trivia, gaming, science, comic, and just plain interesting events are happening in our fair Valley! We’ve split it up like this: any one-off events around the Valley that are only happening this week, only happen a couple times a month, or any interesting updates to existing events will be up top in “This Week”. Anything that happens every single week without fail or much in the way of alteration will be in the “Weekly Events” section at the bottom. Join the friendly people at Modern Myths for an afternoon of miniature painting! If you don’t know how, their experts will show you! Bring some supplies or use the ones they have. There’s a $5 entrance fee, BUT all attendees get a mini to work on and then keep! Win a seat at the regional ProTour Qualifier of your choice! The PTQs are being held April 25th, and the closest ones are in Catskill, NY; Philadelphia, PA; and Montreal, Quebec. (We here at the Nerd Watch highly recommend you check out Montreal, it’s a great city!) A cash prize Travel Award of $200 will be part of the first place prize, to help you make the trek. Play a gigantic amount of Magic, win some boosters! The month long Magic sealed league kicked off again last month. Come and join! It’s only $25 and you get a full month of play and prizes! Matches can be played any day at any time, and play for this month runs through the 21st. Netrunner! The game of cyber-kings. Come to the lovely Greenfield Games and experience the excitement that is one of the very few asymmetrical competitive card games! There are prizes too! First place gets a plaque, and a card granting a first-round bye at the regional championship of their choice. The top four players get a playmat, the top eight get a deck box, and the top thirty-two get one alternate art card! There’s a $5 entry fee. A new moon! Without all that pesky reflected light, you can see fainter objects during your peer into the infinite! A great time to go out and get really cold and see if you can spot distant galaxies. Are you interested in Buddhism, neuroscience, and new technology? Man! What luck! This is probably the only event that’s going to fire all your cylinders for a while. Come see James Hughes, director of the surprisingly sinister-sounding Cyborg Buddha Project, present about how he sees neurotech altering the human search for personal growth. We’re almost certain this guy can help you win that Netrunner championship. Check out his 2013 paper on the topic, and his TEDx talk as well! Well, they missed Valentine’s day, but Venus and Mars are getting together this week! These two lovely planets will be separated by a mere half a degree in the evening sky! Look west just after sunset to see this impressive sight. Come hang out and play miniatures games! Warhammer and the like, on the big tables with terrain on them and all that. Experts available to teach and play board games with you and your friends! They take requests, too! No experience needed. Come hang out and play board games from the stock at Modern Myths! Try something new or just get the players you need for an old favorite. Play Magic, maybe win prizes! Play Magic, maybe win prizes! $10 cover. Play Magic, maybe win prizes! $5 cover goes to the prize pool. Anyone with a positive record gets a prize! Buy-in is $5, everyone gets a participation pack and a chance for prizes. If you don’t want to buy in, you can play for free but you don’t get a shot at prizes! Play Magic again! Constructed Modern event similar to Friday Night Magic. Entry is $5, and there are booster pack prizes. Play magic, meet new people, maybe win foil prize cards. $16 entry fee, tax included. Draft format. Prize pool: 1.5 packs per player, everyone gets at least one prize pack and top players get one or two more. Play magic, meet new people, maybe win prize cards. $5 entry fee. Constructed Type II (Standard). Prize pool: booster packs and store credit. Join people at Modern Myths for their regular evening of ongoing campaigns! It’s a great time to join another group or find players for your own ongoing game. You can also join people for Dungeons and Dragons Expeditions using your Adventurer’s League character or contact Modern Myths to set up your own game! Admission is by Day Pass, $5 that you get back in store credit. DMs/GMs play Free! A D&D adventure one short encounter at a time. Great for new players and old hands. New storyline every couple months. A D&D adventure one short encounter at a time. Great for new players and old hands. New storyline every couple months, $5 entry fee that you get back in store credit. Epic play in the world of Golarion over the course of multiple seasons, during which you and your fellow Pathfinders create an ongoing storyline. Each season consists of at least 28 4-hour adventures. $5 entry fee that you get back in store credit. NOTE: Modern Myths is looking for Pathfinder GMs! GMs get free passes and store credit for running full tables. Contact them for details. Epic play in the world of Golarion over the course of multiple seasons, during which you and your fellow Pathfinders create an ongoing storyline. Each season consists of at least 28 4-hour adventures. Teams can be 1-5 people, and it’s $5 per person to enter. There are cash prizes and gift certificates for the top 3 teams. Nerdy trivia in general, probably up your alley if The Quarters itself appeals to you. There is little information about this mysterious trivia night but you can probably expect undergrads. Teams can be as big as you feel like! Usually lots of undergrads, for good or ill! Teams can be 1-5 people, and it’s $5 per person to enter. There are cash prizes for the top 3-5 teams. The trivia is well-curated and idiosyncratic due to the fact that it has been put on by the same person for 5 years. It’s also hard as all living heck most nights, don’t get discouraged!